But what about motorcycles? Instead, it's using the project to help it develop better safety systems for its products' riders. The motorcycle starts by itself, recognizes turns and even brakes by itself in hairy situations. To make life a bit easier for them down the line, BMW has developed "ConnectedRide", a form of self-driving motorcycle technology. Several projects are in the works, including Yamaha's Motobot, which features a humanoid robot rider, and the Honda Riding Assist concept that can balance itself while stationary and move at speeds of up to 3 miles per hour thanks to a small electric motor in the front wheel hub. The technology in development could one day help riders determine at an early stage if a situation will become unsafe and enable dynamic control programs to show the safest ways around those obstacles. Motorcycles lack all of the safety mechanisms even cheap full-sized cars have, and no matter how safe they might drive, reckless fellow drivers are far more risky to them due to the lack of exterior shielding. 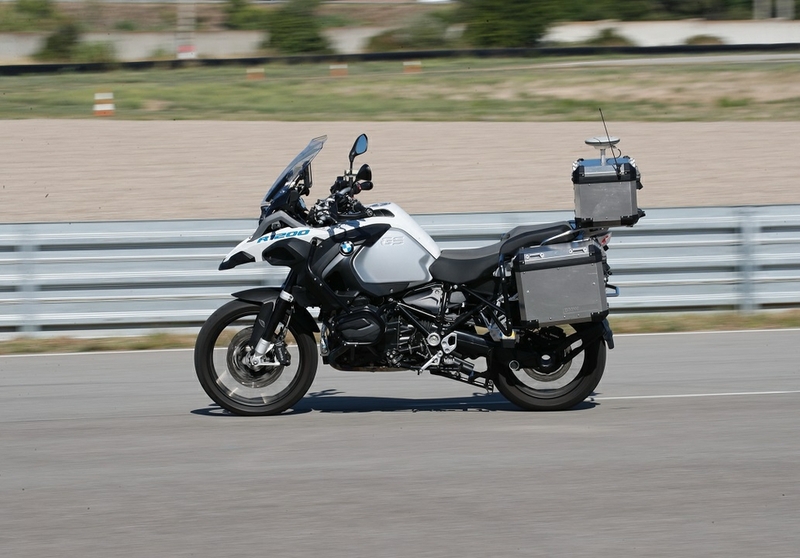 The demonstration showed the R 1200 GS ride off (without a rider), accelerate, navigate a test track and slow down to a stop, without human intervention. Specifically, the technology could prove very useful at intersections or during hard braking events. But the even more impressive feat can be seen when the integrated side stands automatically gets deployed when the motorcycle comes to a halt. Now the company is aiming to further refine the technologies to install them in production bikes as safety systems. BMW promises it has no intention to take away riders' freedoms, but a safer motorcycle never sounds like a poor idea. Who knows? There could eventually be a demand for self-riding bikes-though I don't see the purpose-but something something urban mobility. The worst of the storm's fury had yet to reach coastal SC , where emergency managers said it was not too late for people to get out.